Told by the man who kicked off the infamous lawsuit between Oprah and the cattlemen, Mad Cowboy is an impassioned account of the highly dangerous practices of the cattle and dairy industries. A fourth-generation Montana rancher, Lyman investigated the use of chemicals in agriculture after developing a spinal tumor that nearly paralyzed him. 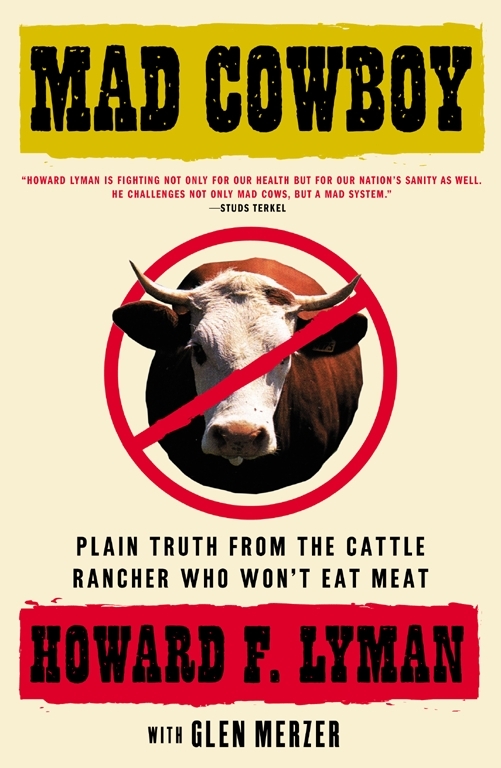 Now a vegetarian, he blasts through the propaganda of beef and dairy interestsâand the government agencies that protect themâto expose an animal-based diet as the primary cause of cancer, heart disease, and obesity in this country. He warns that the livestock industry is repeating the mistakes that led to Mad Cow disease in England while simultaneously causing serious damage to the environment. Persuasive, straightforward, and full of the down-home good humor and optimism of a son of the soil, Mad Cowboy is both an inspirational story of personal transformation and a convincing call to action for a plant-based dietâfor the good of the planet and the health of us all.